Companies that deliver cleaning services for residential or corporate buildings use cleaning service software to manage customers and their specific needs, as well as to plan and optimize cleaning activities. This type of software helps cleaning companies reduce costs through better allocation of human and material resources. Cleaning service software can also help increase customer satisfaction by providing good quality services on time and on schedule. Cleaning service solutions usually provide basic accounting functionality, which is why integration with accounting products is important for financial management. 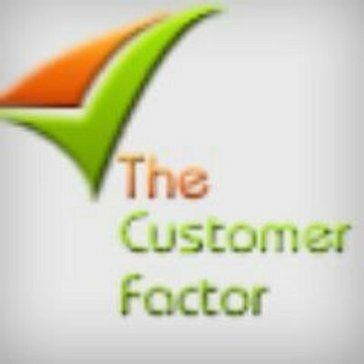 Cleaning Services reviews by real, verified users. Find unbiased ratings on user satisfaction, features, and price based on the most reviews available anywhere. Launch27 is a sleek, powerful online booking system that allows potential customers to buy your maid services directly from your website. The entire booking engine can be customized to match your existing housekeeping website and can be integrated in mere seconds, giving customers a seamless buying experience from start to finish. Launch27 also has its own built-in calendar to show you upcoming jobs and appointment times, while the on-board analytics let’s you fine tune your cleaning services with numerous add-ons for awesome conversion rates. -Installs on any web page in seconds -Customize colors, fonts, layouts, pricing & more -Set custom pricing for different geographic areas -Automatically syncs w/ your calendar availability -Collect payments for you securely online -Allows for single or recurring bookings -Powerful analytics to track your progress online Why do other cleaning companies love Launch27? In a nutshell, it eliminates the need for giving quotes in-person or over the phone. It’s also an easier, user-friendly process for your clients so your conversion rates will continue to increase while freeing up your day. That means more time can be spent doing what you do best- actually cleaning homes/businesses and growing your business while earning a great living. You’ll also be pleased to know that Launch27 listens closely to our amazing users and we are continually making updates based on your feedback. We 100% stand by our customers and our team takes pride in being a true partner for your business- we are always here to help! ZenMaid was started in 2013 by former maid services owners who managed & ran their company in less than an hour a day with the help of custom developed technology. Our goal is to do more than help you with organizing your schedule & business but also to help you run & grow your maid service with no additional work. 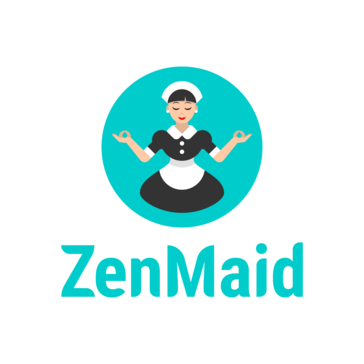 Maid service owners who use ZenMaid are happy to quickly discover that they experience less no-shows, more informed employees & happier customers that are far more likely to refer new business. Swept is Janitorial Software that Saves Janitorial Businesses Time and Money Swept makes simple and smart janitorial software designed specifically for the janitorial and commercial cleaning industry. Swept’s mission is to help cleaning companies retain their cleaners and clients by streamlining communication between managers and employees, and give them a competitive advantage. Swept Platform (desktop and mobile) helps proactively address issues on site before they become customer problems. The solution helps cleaning managers communicate with their staff about issues on site, as well as provide cleaning instructions, track supply requests, and conduct inspections. Swept helps eliminate the most common mistakes that can degrade customer satisfaction by improving communication, regardless of language differences among the team. The platform enables managers to create and assign cleaners to recurring or one time shifts using the scheduling tool. All users get continuous access to their schedules via mobile app, with all shift changes and updates in real time. Late alerts notify managers if a cleaner has not signed in on time, and automatically sends them a reminder to their mobile device. Cleaners can sign in via mobile app, SMS or IVR (landline) to check into any shift. Time tracking features ensure users that clients receive the service they paid for, with recorded time for each cleaner imported automatically for review or payroll. Swept helps users identify issues immediately by allowing cleaners to report them to managers in real time via text message or mobile app. Automated Multilingual cleaning instructions enable managers to support cleaners without being onsite. Location messages help teams stay connected, including a virtual message board that makes sure everyone is in sync. Supply tracking features inform managers of what is required and where, facilitating the requesting and replenishing of supplies. Swept’s messaging features allow clients to communicate with managers via SMS, or using their own account within the mobile app. Once logged in, clients can access the message board to stay up to date on job status, changes, issues, and more. Managers are able to create custom inspection plans with unlimited inspection points, as well as measure performance by rating the quality of each inspection point. All recorded notes can be sent to clients via mobile before the team exits the building. At Swept, we believe that cleaners add value beyond cleaning and that the most common mistakes that degrade customer satisfaction can easily be avoided with better communication. Get your free account today. We lead the janitorial/sanitation industry in developing software solutions that give building service contractors and facility managers a more competitive edge. Our software allows people to live happier lives at work and at home. Janitorial Bidding Software is a software solution that allows you input detailed measurements, fixture counts, and frequencies to help you manage your business. Janitorial Software is a web-based janitorial software service that provides you with tools to control costs and workflow to have a proactive management process. Vonigo is a field service management and online booking platform that helps increase sales and streamline the operations of mobile service companies and organizations. Vonigo offers a unified suite of configurable cloud-based modules including; CRM, internal & client-facing scheduling, work order management, estimating, dispatching, routing, GPS, invoicing, payments, reporting, and more all accessible over the internet from any desktop or mobile device. Millions of jobs have been booked and managed with Vonigo. Join us for a Free demo today. WinTeam is a holistic financial, operations and workforce management solution. It’s an industry-specific ERP designed specifically for janitorial and security contractors. CleanBid is a janitorial bidding tool accessible from mobile that lets cleaning companies accurately price jobs and create proposals. Cleaners application offers feature like real-time tracking, fare estimator, fully automated, email-SMS configuration,and report generation. CleanGuidePro's online system guide you step by step to professional and ready-to-deliver cleaning proposals for Janitorial, Construction Clean, Apartment Move Out and Residential bids. The system also includes Specialty Work and Supply Sales. CleanGuru steps in to take away the big guys' advantage -- giving you the strategies and tools to find, win and keep the profitable cleaning jobs you've always wanted. CleanLink Software Limited develops, sells and supports award-winning software primarily for the contract cleaning market. It is structured to enable contract cleaning companies to efficiently grow and manage their business, on a site-by-site basis. CleanLink includes an HMRC approved Payroll module. Invoicing and Payroll modules interface with popular timesheet and accounting systems. Cleansure is a web based organizational software developed specifically for the cleaning & supporting industry's. CleanSweep is a software designed for cleaning service providers to automate scheduling, accounting, administration and reporting. CompuClean is a custodial maintenance management software that offers workloading and staffing estimation, process documentation and standardization, quality assurance monitoring, inventory management and more to help you manage your business. CS Optimizer is a custodial service management software allows you to maintain cleanliness and manage money with features like cost containment, standardization and procedures, equitable work assignments and more. eazycleaning is a task mangement software for the cleaning industry. Executive Pro Toolkit Janitorial Software is a software system with modular applications designed to help manage productivity and create daily schedules, inspections for quality control, and more to help you manage your business. A Simple Web and Mobile Application that focuses on the key drivers of cleaning service delivery. HSI Custodial Solutions is a software program that will help you manage your environmental services department with features and functions to manage productivity and efficiency. JanBid is an estimating software solution that provides you with the cleaning details for each account including the desired cleaning frequency, providing tools and functions to help you manage your business. Our software has saved business owners hundreds of hours and stress, allowing them to focus on what's most important their business. JaniTime is a janitorial management solution that allows you to manage daily reports that show missed cleans, voicemail capabilities that employees must listen to before clocking in, and more to help you manage your janitorial business. JBMS is all-in-one business management software for janitorial businesses. Software to manage your cleaning & maid business. The world's most advanced cleaning & services software, uses the latest computer aided visual workloading technology. There simply is no other management software like it. Manor enables local housekeeping businesses to compete at a high level with a cleaning management platform that allows for booking, scheduling, and payments all in one simple app. Pancomp Clean is a time and attendance system for mobile employee tracking to help you manage quality and operational efficiency through wireless work management systems that provides monitoring of the cleaning process in real time. Q by TEAM Software is an all-in-one workforce management tool to direct, set and track the operations of a distributed workforce. It’s specifically designed for small businesses in the janitorial and security industries. ServiceTask is a web-based application that provides tools and features like CRM, scheduling and marketing to help you manage your business. Smart Inspect is a mobile janitorial inspection software that provides features like customer reporting, communications, imaging and more to help you manage your business. Tagmymenu is a customized food ordering and delivery solution with instant confirmation, order tracking and secured payments. We offer powerful cleaning scheduling, dispatching, and billing solutions to cleaning companies who serve vacation homes, hotels, and rental management companies. The Cleaning System is a work planning solution that helps cleaning companies measure areas to be cleaned, assign jobs, and calculate job-related costs. Total Office Manager is a field service management software with mobile capabilities to help you manage your technicians, manage CRM and sales processes, process work orders and create invoices and more. Hi there! Can I help you find the best Cleaning Services solutions?